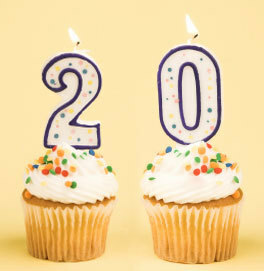 20 things I’ve learnt at 20. – In Writing. 20 things I’ve learnt at 20. This blog post is inspired by several videos on Youtube that I saw; this one in particular – where Youtuber lindseyrem shared what she learned at 19 years of age. Without further ado, my own list, addressed to myself but hopefully something here resonates with you. Be your own biggest fan. In the quest and I suppose well founded expectation for loved ones to support your dreams, don’t forget yourself. As Craig Jarrow notes, “If you don’t believe in yourself, then no one else will. Don’t look to others to define your confidence, you get to make that for yourself”. 2. Don’t stay stuck in your comfort zone. As a previous mentor said ‘your comfort zone is only there for resting in’. Once you take a step out, it’s always there waiting for you so don’t be afraid to venture out. 3. Start to know your “why”. When it comes to the areas of life you value; be it education, faith, future career, you name it, look into the “why” behind them. Are you just going with the flow? Letting life happen? Living according to other people’s rules and expectations? Examine the reasons behind your actions, beliefs and goals. 4. Consistency is key. If you take the time out each day to work towards a specific goal you will achieve it. It will then come to the point where (fellow procrastinators can relate) you question whether actually following through on a task was a figment of your imagination or your reality. When it turns out to be the latter, this confusion eventually wanes and hopefully acts as a heartwarming reminder that if you really want to you can. 5. Friends are important; friends you can laugh with, friends who add value to your life and friends you can be vulnerable with without fear of judgement. 6. It’s okay to be honest. When a friend asks for truthful advice, don’t hide under the sweet guise of a sugar coated reality. And as much as the truth hurts, wouldn’t you want the same? 7. Youtube is a goldmine for good advice. An example particularly fitting for this post is Youtuber’s Nneoma Ike’s video on surviving one’s 20s. 8. Keeping a journal is amazing. It’s a good way to stay on top of your emotions and an excellent way to turn tangled thoughts into a somewhat(though not always) coherent form. Check out more benefits of journaling here. 9. Sometimes you need to choose which emotions to acknowledge and which to ignore. e.g. Fear when it creeps in whispering about the comfort of hiding away in a corner and never actually acting on any of your goals because OMG they may never actually work out and so why put yourself out there in the first place right? 10) Self-pity is not the solution to your problems. Acknowledge your feelings but don’t wallow in them. There’s only so much a “run-away-from-all-your-problems” nap can do. 13. You’ll probably always be a daydreamer; don’t fight it. As much as you may find yourself frustrated at your tendency to mind-wander, try and focus on turning the tangible daydreams into a reality as opposed to saying you’ll stop daydreaming all together. 14. Becoming self-aware and getting to know yourself is an ongoing process. And I’m still learning who I really am. 16. Don’t take things too personally. From the people that read messages and don’t reply to the people that see you in public and all of a sudden become oh so fascinated by the tarmac on the floor. It’s probably not always a good idea to use such instances as a catalyst for impassioned self-interrogation. E.g. What did I do wrong? Are they mad at me etc. It’s not always about you and besides, you’ve probably done one or both of these things before. Keep it moving. 17. Own who you are. If you’re firm enough in the decisions you’ve made or in your truths, it’s harder for people to use them against you or attempt to belittle you. This goes hand in hand with accepting yourself as you are. 18. Care more about how you perceive the goals you’ve set for yourself rather than how other people perceive them. When you make your goals, they’re for you, not for other people’s critiques. You determine how valuable your goals are and are then able to modify (or not modify) them accordingly. How To Actually Stop Caring: …the solution to being sensitive to what people think is NOT to care less… but to care more about what you think of yourself. The people who seem to “not care” the most are actually just firmly rooted in their own values. 19. Remember your mortality. Let it be your impetus to live a purposeful and fulfilling life. 20. You have so much you’re yet to experience. Even though you’re officially an ‘adult’, don’t feel any pressure to act differently. Take it day by day. Be patient. Just keep learning and growing as you enter what clinical psychologist, Dr Meg Jay, terms the ‘most important decade of your life’.